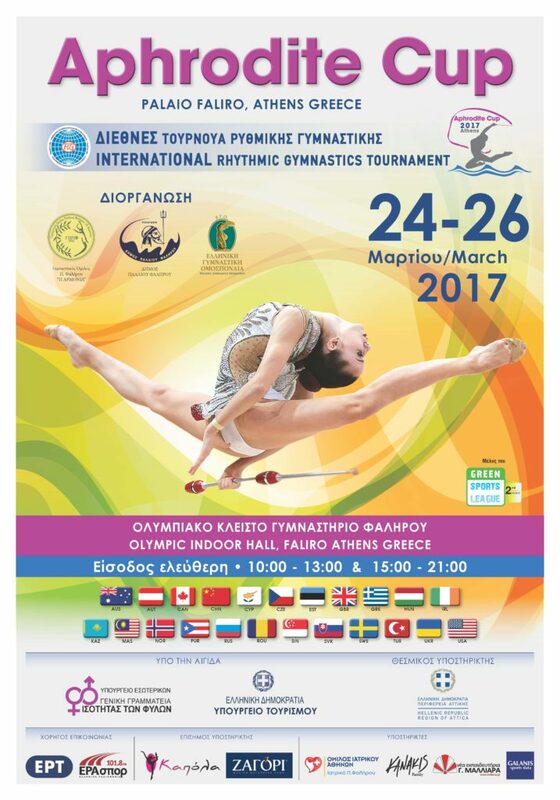 Welcome to the webpage of the International Rhythmic Gymnastics Tournament Aphrodite Cup 2017. In 2017 Aphrodite Cup will host junior competitions (13-15 years), senior competitions (16 years up) and group seniors and group juniors competitions. The tournament will take place place in Palaio Faliro Olympic Indoor Hall TAEKWONDO on Friday 24 to Sunday 26 March and it will be livestreamed online. In this webpage you can find all the information about the tournament.